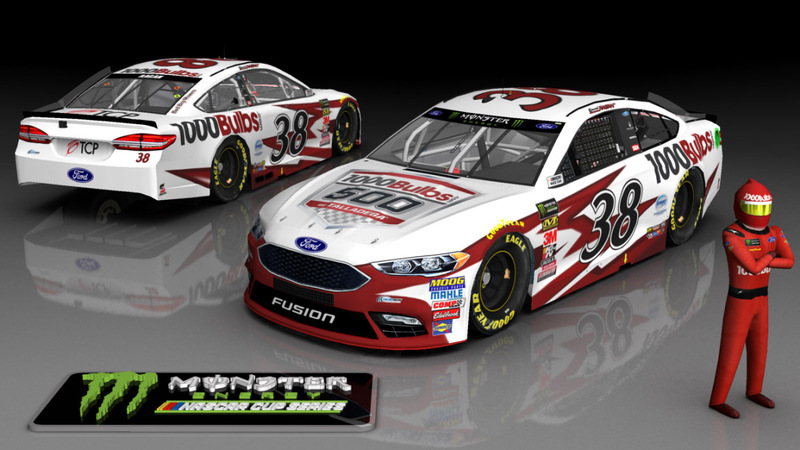 2018 #38 1000 Bulbs Ford driven by David Ragan at Talladega 2.... MENCS 2018 mod & template - Splash n' Go.... #'s - BER.... Contingencies & B-pillars - Blumust10ac.... Sponsor logos from various internet sites.... Pit crew - SteveZ.... Render - The Mod Squad.